DANCEEAST AND EAST ANGLIA’S CHILDREN’S HOSPICES | TREEHOUSE HOSPICE (IPSWICH) HAVE BEEN WORKING TOGETHER SINCE 2012 TO PROVIDE DIVERSE AND MEMORABLE EXPERIENCES FOR YOUNG PEOPLE WITH LIFE THREATENING CONDITIONS, AND THEIR FAMILIES. Taking place at the Jerwood DanceHouse, The Treehouse Hospice and other local venues, families have had the opportunity to watch performances, take part in dance workshops, and create their own dance performances, some of which have been captured on film. These dance experiences benefit not only the young hospice users, but also their siblings, parents, grandparents, carers and the hospice staff team. To find out more about EACH visit www.each.org.uk. 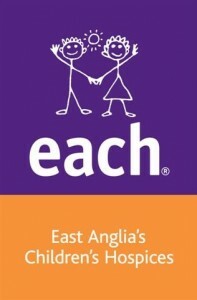 To find out more about our current work with East Anglia’s Children’s Hospice | Treehouse Hospice (Ipswich) click here.